This build has quite a bit of minor tidying work here and there to make way for the fun new additions coming down the road (see the recent post on single player and menus for more info!). It also has some balance tweaks and a couple of new features, as well as crash and regression fixes. Some messes are easier to tidy than others. See below for a caveat, but the smooth shader should work again, for those missing it. This seems like a minor change, but is a really important security measure. AngelScript code entered into the client console will not be executed. Will still work fine over rcon of course, for players with seclev “ALL”. 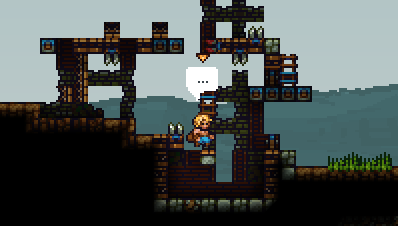 Materials of all sorts now fit through 1 tile gaps as well, to prevent them blocking things so often. We changed the speed modifier to 75% instead of 70%, nothing drastic. With the addition of these heads, we are now “out” of custom head slots for donors (the last 2 are reserved for our current interns). Thanks to all the supporters who donated or contributed so much over the last few years, it means a lot. Enjoy your heads! Everyone else: be sure to congratulate the generous in-game. Notes on the smooth shader: Some people have reported graphical glitches in the bottom right while using this. We’ll look into why this is happening once we can reliably reproduce this on our machines – for now those people will have to play with smooth shader off. PLEASE let us know what sort of machine you’re running if you’re affected by this glitch, if it happens for you all the time, and so on. [added] archer shop allows you to buy special arrows into inventory + displaces normal arrows down to a single stack. Thanks to makmoud98 for idea and partial implementation. [added] Sasquash, Mek7/The_French_One (shared) and TheDirtySwine heads, Congratulations! We are now officially out of head slots, all remaining slots have been reserved. Thanks to all the donors and contributors! [modified] Script Send limit is 2048 now - we wont go higher than this, optimise your script counts for heaven's sake! [script][fixed] debug messages not appearing from script debug() and printInt.